But GE's debt is still alarmingly large, thanks largely to a series of major deals that turned into nightmares. And it could thwart efforts to restore the company to greatness. The huge debt load has forced GE (GE) to scramble for cash by selling even more businesses, a strategy that will eat away at future profits. "That's the math that has been spooking the market," said RBC Capital Markets analyst Deane Dray. Wall Street keeps punishing GE stock, signaling deep doubt about the prospects for a speedy turnaround. GE shares have tumbled 18% this year after plunging 45% last year. "It's fundamentally problematic: The company has shrunk and the liabilities haven't. In some cases, they've grown," said Jeff Sprague, founder of Vertical Research Partners. "This could be a long, painful workout," he said. GE's total debt has nearly tripled since 2013. It owed almost $77 billion as of September, according to calculations by Moody's. That includes a large pension shortfall, but mostly excludes the debt held by GE Capital, the financial arm. At the same time, GE's business has deteriorated dramatically, leaving it with less firepower to pay back debt. That means the company is more leveraged, or reliant on debt. One measure of leverage, a ratio of debt to earnings, has surged from 1.5 in 2013 to 3.7 today, according to Moody's. GE rivals like Honeywell (HON), United Technologies (UTX) and Siemens (SIEGY) all have much lower leverage ratios, Moody's said. S&P Global Ratings downgraded GE's credit rating last year because of concerns about its "higher leverage" and "poor" cash flow. The ratings firm warned it could downgrade GE further if it fails to clean up its balance sheet. John Flannery, who took over as CEO last year, promised in January to "maintain a disciplined financial policy." The more conservative approach includes slashing GE's dividend in half, cutting costs through mass layoffs and attempting to sell off $20 billion worth of assets. GE plans to use the proceeds from selling businesses to pay down debt. The goal, according to Flannery, is to lower the debt-to-earnings ratio to 2.5. GE also wants to raise its cash balance from about $11.2 billion at the end of 2017 to $15 billion this year. GE declined to comment beyond Flannery's previous remarks. GE's debt headache was largely created by years of horrible dealmaking and overly aggressive rewards for shareholders under former CEO Jeff Immelt. GE gained a reputation for overpaying for businesses. One of its worst deals in recent years was a $9.5 billion acquisition of Alstom's power business, which makes coal-fueled turbines used by power plants. It was GE's largest industrial purchase — and it backfired badly as fossil fuels fell out of favor in important markets. "The damning conclusion is that they were chronically buying high and selling low," said RBC's Dray. "That eventually destroys value, lowers your earnings base and spikes your leverage." GE compounded its financial problems by returning vast amounts of extra cash to shareholders through buybacks and dividends rather than paying down debt. Between 2010 and 2017, GE spent about $42 billion to buy back its own stock, according to FactSet. Worse, those buybacks were terribly timed because GE's share price has plunged since then. "It reflects a lack of understanding about what the real situation was," said Sprague. "It was a massive destruction of value, on top of leaving them financially vulnerable." 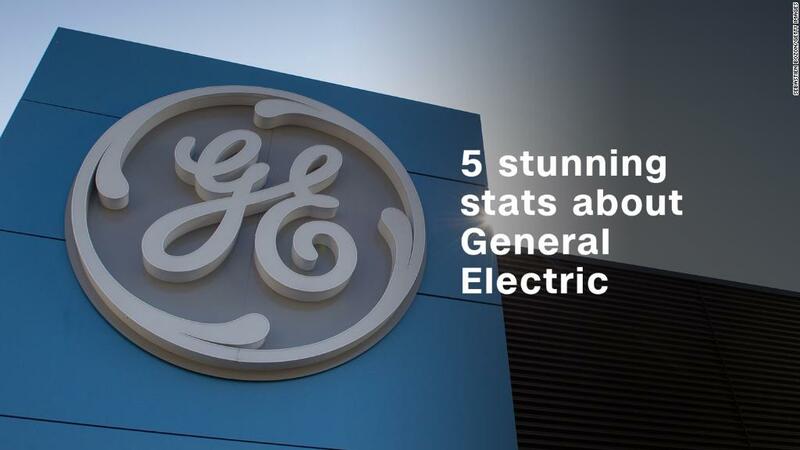 GE also failed to devote enough resources to its pension program, which built up a massive deficit because of inattention and extremely low interest rates. GE's pension shortfall stood at $28.7 billion at the end of 2017. That's an improvement from $31 billion in 2016, but still the highest in the S&P 500. The current environment of rising interest rates will help improve GE's pension problem. But it will add to GE's debt headache by increasing the cost of refinancing existing debt. GE and GE Capital have about $42 billion of debt maturing through 2020, according to filings. Like many large businesses, GE relies on short-term loans known as commercial paper to fund its day-to-day business. Short-term borrowing costs have climbed sharply in recent months. GE relies less on commercial paper than it used to, but it still uses this market heavily. And GE warned in a recent filing that if it doesn't start bringing in more cash, its financial condition could be hurt. Some analysts believe GE's debt problems will eventually force Flannery to revisit the dividend, which the company slashed last year for only the second time since the Great Depression. JPMorgan Chase analyst C. Stephen Tusa Jr. cautioned in a report this week that GE's dividend is "still high risk" because of the company's shrinking cash flow. GE has "minimal margin for error" due to "high leverage and reliance on asset sales to fix this issue," he wrote.